Saffron Tree: Why am I an Only Child? For whatever reasons, we have just one daughter, A. She is a very loving child, and loves playing with younger children. If there is a baby around, chances are A will drop whatever she had been doing and make friends with the baby. And I have seen that younger kids are very happy around her. We do know a few single child families, but most of her friends have siblings, and sometimes she gets very upset about not having one. When I see all this, I feel bad for her, but our reasons stand. So she is an only child. Eudora is a little rhino who is an only child. She does not understand why her friends all have siblings and she doesn't. She is very lonely, sad, and sometimes mad! She wants someone so that she is not lonely. So that she can have someone to play with. So that sometimes she can be the boss. And so that she doesn't feel so very different from everybody else. She comes to her parents with her questions. "Why don't you give me a brother or a sister?!? Don't you want MORE like ME?" Her parents tell her that "We would like a MILLION of you." They reassure her that she is precious, and loved very much, but "all families are different." They ask her if she can think of anything good about being an only child. Eudora thinks...and thinks...and comes up with the good things on her own. And finally concludes that "Every family has its own right size." The book has a feel-good factor with the little rhino arriving at her answers by herself and being reassured that she is very much loved. 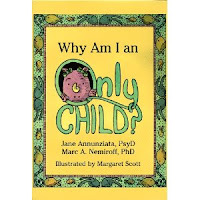 I have used this book with A not only to help her deal with being an only child, but also to stress on the fact that all families are different. Illustrations by Margaret Scott are worth a mention. Clear, child-like line drawings with cheerful colours without going over the top. A child could easily draw similar pictures. Suggestion: Could be used as an activity. The authors are clinical child psychologists and the book has a very useful note by them for parents and guardians. 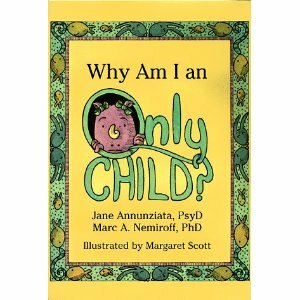 A good book for single child families. For whatever reasons. I like the different families concept a lot. Justifying the size/composition of the family should not be at the cost of other differently built families. Wish there'd been a book like this around when I was an only child growing up...not that I had any issues, but people tended to have stereotypical assumptions! Is it available in bookstores? Can think of a few kids who might like it! While the book sounds good for only kids who desire siblings, I was very very happy being an only kid!! Tell A that. 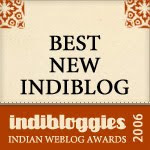 Very interesting pick Sandhya ! @Starry eyed: Eudora's family has just the three members, but there is a full double page picture at one point where there are so many different kinds of families-large and small, of monkeys, elephants, snakes, birds and what-have-you, all having fun together! So yes, the book does talk about families being differently built. I bought this book at the Strand book sale for Rs.150. I realised what a huge markdown it was, when I checked-its price on flipkart is Rs. 1083. It is hardbound. You could check with Strand. @Artnavy:I read your post and have put up my comment there. Thanks for the link. @Ranjani: Thanks. It is a topic close to my heart. A great topic to be dealt in a book in such wonderful manner. Know many kids who would love to read this book. Thanks, Vibha, MM. I suppose one could put it this way. It is amazing how open children are to so many varied things. More so than adults, certainly. @Sheela: A great point of view. How right that sometimes we just want our feelings validated, and are not always looking for a solution. Thanks for that input. At a point of time, I was depressed about being an only child. Could youplease let me know the place you got this book. I have only one child, thot to read out to her. my mail id is rajiks03@gmail.com ( it is zero three in my mail id and not o). i love all posts in ST.
You can order it in flipkart (although it currently says out of stock) - write to them and check. They usually help out.